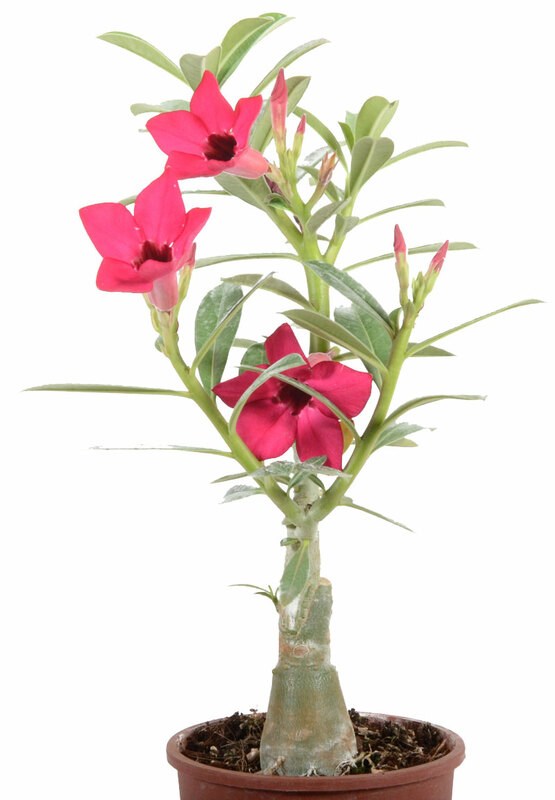 Description : The first double flowered variety of Adenium that we obtained was bright red color. After growing simple pink varieties, it seemed the most exotic flower. Soon enough other colors were hybridized and white and pink double flowers came to the market. The rainbow of hybrid adeniums nowadays is unbelievable Adeniums do not like both over-watering or drying-out. There is a little secret of how to create a weird shape of the base: lift the plant a bit every time you re-pot the plant, so that the Watering can be done daily to every few days. Never allow your plants to sit in a saucer of water, but don't let them to dry out too often - this causes adeniums to go into early dormancy.